Fat freezing treatment also referred to as Cryolipolysis is a non-surgical cosmetic procedure that breaks down fat cells using cold temperatures. Unlike other cells in the body, fat cells are destroyed by cold temperatures. Cryolipolysis is the most common non-surgical fat reduction cosmetic treatment globally. 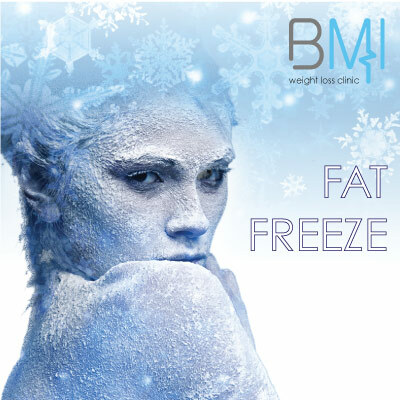 This treatment involves the placing of an HD Lipo Freeze cooling pad on the target areas for approximately an hour. During this time, the patient experiences a gentle cooling feeling through a vacuum as the vacuum pulls in the fat. Temperatures will progressively fall to -8 degrees Celsius during the session gradually freezing and contorting the fat cells. After the treatment session, the cold gel pad is then removed and the now distorted fat layer is massaged back into shape. The dead fat cells will then be naturally eliminated from the body gradually. This type of treatment can be used to eliminate fat on different areas including: the abdomen, arms, chin and thighs. During the treatment session, you may feel a little discomfort and sometimes experience a temporary bruising on the treatment area depending on the tolerance of your skin. Cold Lipolysis is a minimally invasive non-surgical procedure that requires no anesthesia and no downtime. Depending on your individual needs and the results you want to achieve, you may require one or several sessions. In some cases, a single session might be all you need. Results may vary from individual to individual depending on the size of the problem areas and the fat density. Noticeable fat reduction is visible between two to three months after treatment. After treatment, we recommend that you adopt and maintain a healthy eating lifestyle and a regular exercise plan. This will not only enhance metabolism of the dead fat cells, it will also help you maintain the results achieved in the treatment.